Combine rubber and shiny silicone rings to create colorful "Hepatica Americana" flowers. 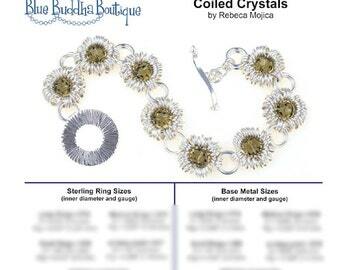 Join individual flowers together for a cute and cheerful bracelet. 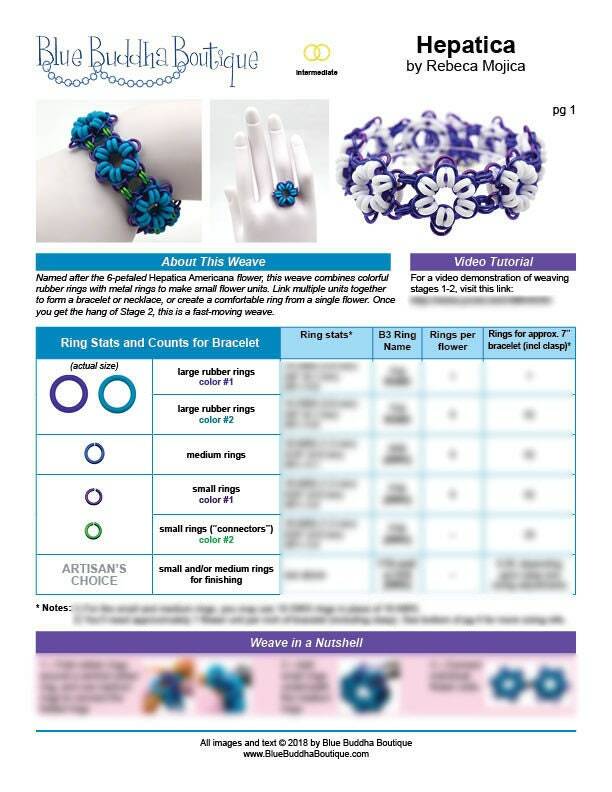 Instructions also show how to turn a single flower unit into a comfortable finger ring. PREREQUISITES: Experience with jump rings required. Experience with rubber rings helpful, but not necessary. 5 full-color, high-resolution, print-quality pages are included, detailing each and every step with clear, descriptive text and excellent photos. The PDF contains a link to a private YouTube video which shows how to create a single Hepatica flower (right-hand version), along with tips and tricks for holding the weave and your pliers as you work. 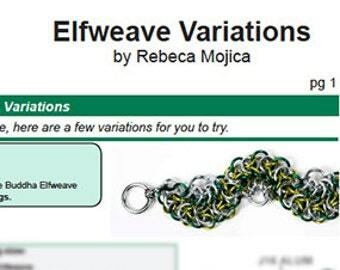 This is in the form of a PDF, which can be automatically downloaded via Etsy's downloads page. You will receive an email with instructions for how to download the PDF. Both left- and right-handed PDFs are included with your download. standard colorways - https://www.etsy.com/listing/610387987 NOTE - The instructions show the PEACOCK colorway in the step-by-step photos. If you'd like your kit to match the instructions exactly, purchase the peacock colorway. 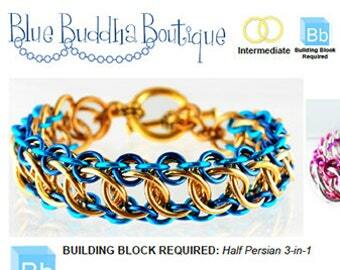 This is pattern created by Rebeca Mojica exclusively for Blue Buddha Boutique. 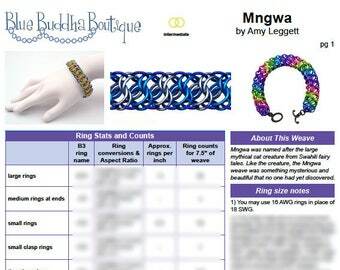 Reprinting with the intention of redistributing or selling this tutorial is strictly prohibited without permission from Blue Buddha Boutique. You must become an authorized distributor to resell or teach from this tutorial. This item is intended for personal use only. I am new to chainmaille and had no idea this was an intermediate project, but pulled it off. 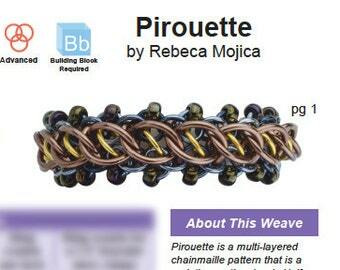 Plus it was my first project using rubber rings. I also purchased the kit and was pleased with both the kit and the instructions. Thank you so much!! Just like Mary Poppins, "practically perfect in every way"!! We are always happy to speak with you before you order to ensure you are buying the proper items and answer any questions you have. Check your order as soon as you receive it. Refunds, credits and exchanges are available only if items are returned within 15 days after receiving the items. All products must be in the same condition as when sent to you. No exceptions - be sure to closely examine your order as soon as it arrives to retain your eligibility for refunds/exchanges. Please note that opened bags of heat-sealed jump rings and kits cannot be returned (once opened, these items are ineligible for resale). NO returns accepted for grab bag items, DVDs and custom order kits or other customized/special-order items. If you received incorrect items in your order, let us know and we will immediately ship you the correct items. You must let us know within 7 days of receiving your order. Defective merchandise will be replaced or repaired at no charge for up to 30 days. Contact us and let us know what is broken. Note that instructions (PDFs, books, DVDs, etc) are NOT RETURNABLE — due to technological inventions such as the photocopier, scanner, DVD burner, etc. Again, we are happy to speak with you before you place your order, to make sure you're ordering exactly what you need and to reduce the possibilities of you needing to return an item. If you have a problem with your purchase, we will give your situation the attention and respect that it deserves. We can't solve every issue, but we certainly try our hardest! Enclose your order number or a copy of your receipt, and list the items to be returned/exchanged. Please include a contact number or email address so we can reach you if needed. 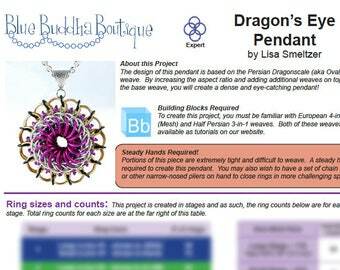 If you teach our designs, feel free to use your own instructions with no permission needed from B3. 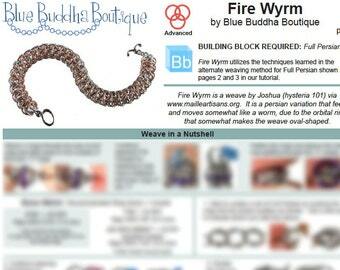 In order to use our instructions in your classes, you must become an authorized distributor. 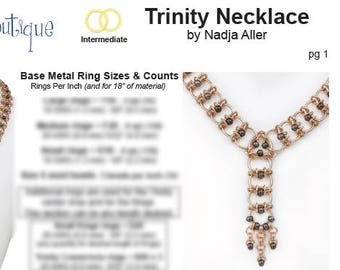 The distributor program is a cost-effective and easy way for bead stores and jewelry instructors to create a chainmaille curriculum. For a one time fee per project, you'll be allowed to reprint our instructions for retail sale and use in classes, and you can also purchase kits at wholesale prices. 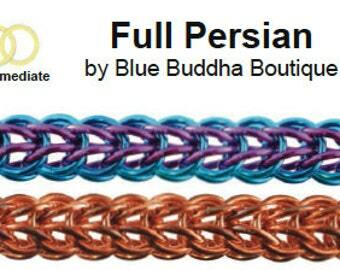 Please contact customercare@bluebuddhaboutique.com for full details.